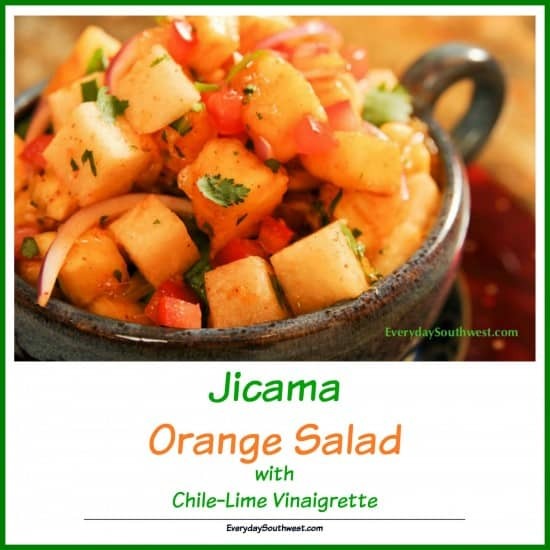 I can’t believe we haven’t shared this recipe for Jicama-Orange Salad with Chile Lime Vinaigrette… yet. This is one of my favorite salads and it’s perfect for any outdoor BBQ or just to keep in the fridge for a cool, refreshing snack. I realized it as I was driving out to the local farm (Ok, so it’s an hour away… what? I can drive an hour to pick beets if I want to). Anyway, I heard the rain was coming. Again. So, I grabbed Maggie, my mini-schnauzer, and headed out to the local farm before it got too muddy (Maggie just had a bath). Along the way, I passed dozens of orange stands on the side of the road and decided they were the real treasure. I stopped and filled the back of my car with all kinds of oranges and grapefruits ( I’ll be juicing them forever!). After dragging the bags of citrus into the house, I couldn’t resist making a double batch of this Jicama-Orange Salad to keep in the fridge and keep me on my diet. I entered this recipe in the “Get Grilling” with Family Fresh Cooking and Cookin’ Canuck, sponsored by Ile de France Cheese, Rösle, Emile Henry, Rouxbe and ManPans event. Donna and I first tasted this salad on a trip we took to the Santa Fe School of Cooking and it has been a favorite ever since. In fact, we made it together the last time I was at Donna’s house and the photo was taken with the help and instruction from her photographer/husband extraordinaire, Jim Kelly. This salad is crunchy, tangy and just a tiny bit sweet. 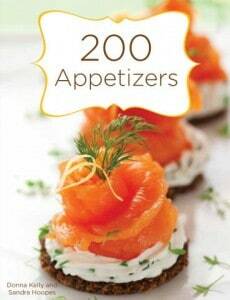 It is great for any type of diet… low-cal, low-carb, low-fat, you name it. The dressing uses a little honey and no oil. Yes, that’s right. No oil. Keep it in the fridge and munch on it when you feel like snacking. The jicama stays crunchy. I always miss crunchy when I’m on a diet. 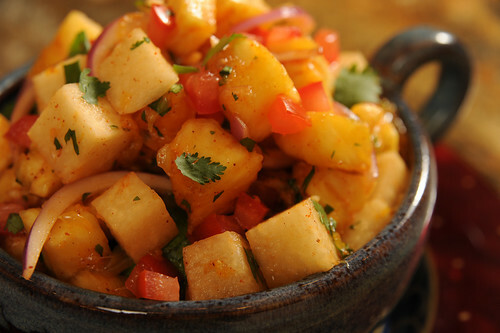 Peel jicama and cut into ½ inch cubes. Cut oranges into supremes (cut peel away from orange and cut segments away from interior membrane). Dice oranges into ½ inch cubes. Seed tomato and dice into ¼ inch dice. Finely slice red onion. Mince cilantro. Toss ingredients and dress lightly with Chile Lime Vinaigrette. Directions follow. Zest and juice the limes. In a small bowl, combine the lime juice, lime zest and chile powder. Whisk in the honey and water. Add salt and pepper to taste. Oh my gosh! I had forgotten about this deeee-lish salad. I’m going to the store right now! I have seen jicama in the stores but I have never taken the effort to explore its uses. Now you have given a gift of a new food to experience. I saw this on Tasty Kitchen and just had to tell you that it has my name all over it! I love all of the ingredients, and actually happen to have them all on hand. This is going on our Father’s Day menu!! Thank you! Hi Kim- It really is a good salad. Everyone loves it so there are not many leftovers. Perfect for hot summer days! Made this for a San Diego Food Blogger gathering today… a total hit! What a wonderful recipe, thanks again! Kim- I’m sooooo happy you liked it. Thanks for letting me know, I love hearing feedback You made my day!